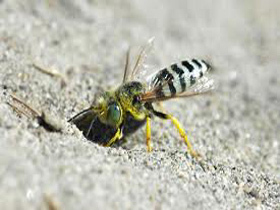 We eliminate all types of wasps & bees and can quickly solve wasp nest and bee problems from your Holbrook MA home. 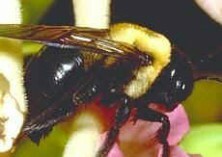 Carpenter bees and yellow jackets are the most common bees we perform pest control services for in Holbrook MA. 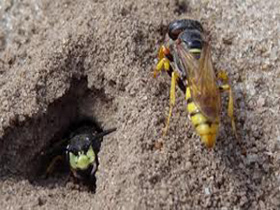 We 100% guarantee all our bee & wasp nest removal work. 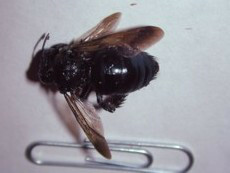 Carpenter bees might do a lot of damage, but yellow jackets are the number one stinging insect we perform pest control services for in Holbrook Ma. 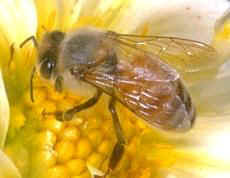 They cause the most causes of emergency room visits for allergic reactions than any other stinging bee or wasp. 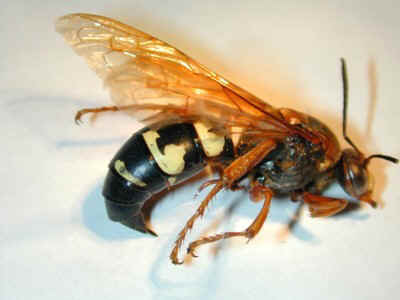 Eastern Yellow Jackets average about 1/2 inch long, but the late hatching new queens can be 1 inch long. They have alternating black and yellow stripes. They’re not as hairy as bees. Their wings are a smoky brown color. 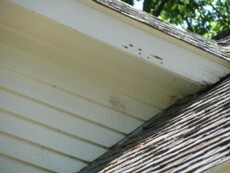 Yellow jackets build nests in many areas; chipmunk burrows, stone walls, hollowed logs, behind shutters, under or inside eaves and inside wall voids of our homes. The nests they build inside your walls can become very large by late summer. Many people are unaware of their presence until the cold weather starts driving them into the house. 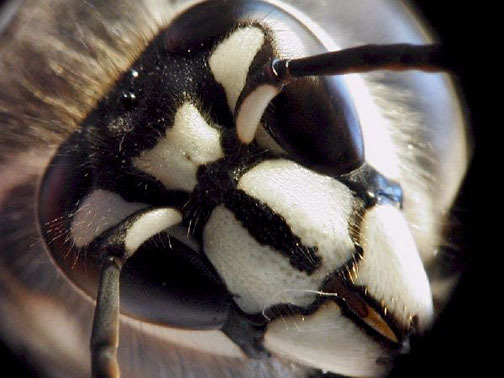 Yellow Jackets, like most wasps, can sting repeatedly, and will do so when threatened. 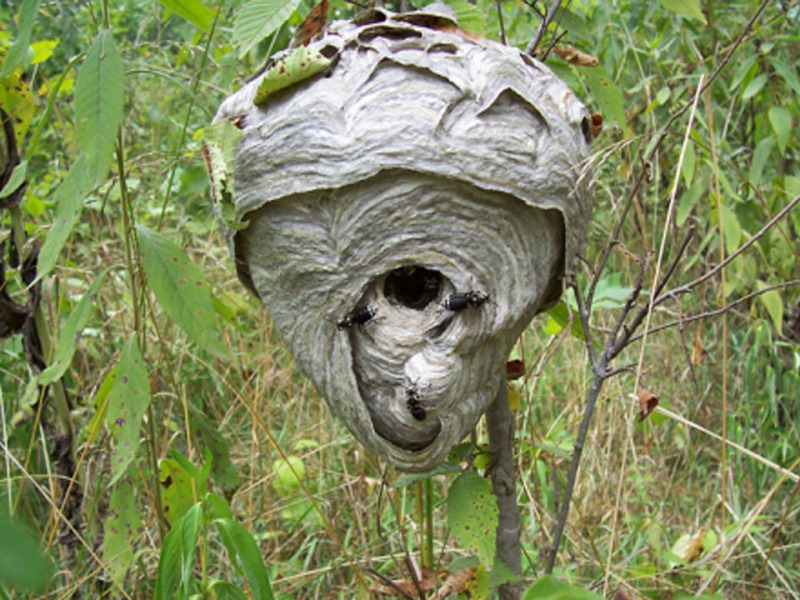 Bald-faced hornets can quickly build large grey or brownish paper nests around our Holbrook MA homes. 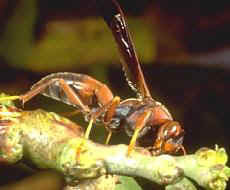 They are large hornets and are very aggressive. When their hive is threatened they will swarm after the attacker. They are smarter than yellow jackets and will chase you clear across the property. A bee suit is highly recommended for bald-faced hornet removal work. 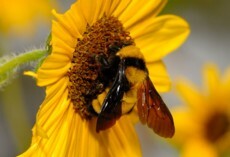 It’s not uncommon for someone to even be stung through a bee suit. 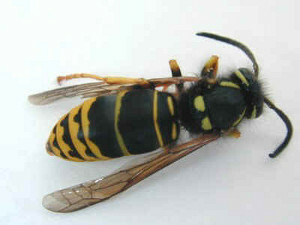 Multiple hornets will try to sting you in a concentrated area. This way they can do the most damage. 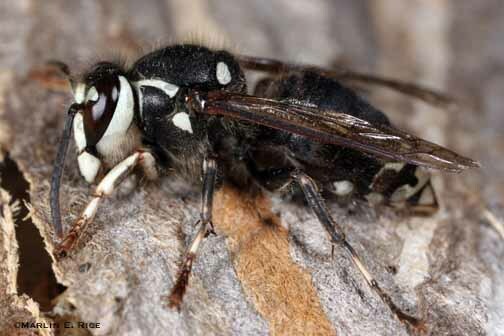 These are New England’s most feared stinging insects. 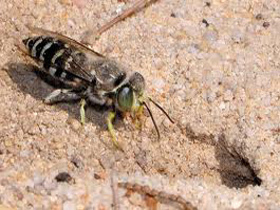 There are many species of digger wasps and digger bees in Holbrook MA. The black and silver type can be seen flying low in figure eight patterns above sand lots. 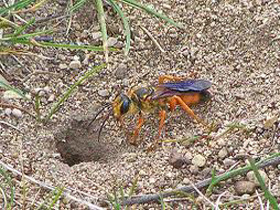 They will bury their eggs into the sand and then cover over the holes with sand. 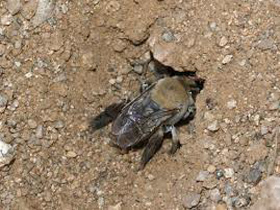 There are digger bees that will have interconnected tunnels under leaves in a garden or yard area. 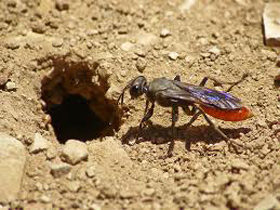 There are also the large colorful digger wasps that make their large 1/3 inch wide tunnels in hard packed soil areas like along our walkways. 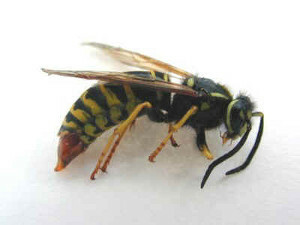 When found these wasps should be promptly dealt with before they have a chance to multiply and spread.